Discussion in 'Football Forum' started by Raees, Sep 12, 2018. Not permitted to pick a pair or trio which overlaps with a player from another pair/trio i.e. If you pick Evra-Vidic as a LB/LCB duo, you cannot then pick Cristiano as part of the attacking trio, even if it is from the time he played for Real Madrid. Same goes for players who featured in same international sides during the same generation. 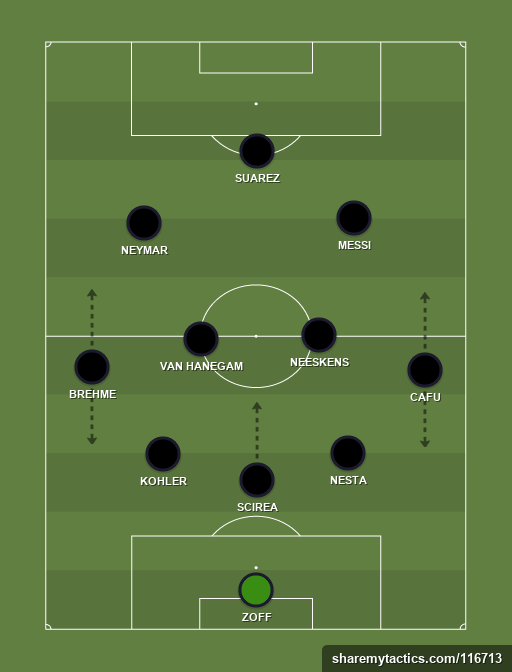 Pick players based on their best positions, don't go for 3-5-2 and then put someone like Thuram as a right-wing back when he doesn't really have any experience of playing as a wing-back in a 3-5-2. There is some leeway with this rule but try and keep it realistic. I meant no overlaps between the 3 teams. For example, no Nesta (and Cafu) in 5-3-2 because he is in 4-4-2 etc.